Tampa Auto Accident Lawyers | Attorneys serving Tampa and the surrounding Tampa Bay Florida area. Our auto accident attorneys handle personal injury cases arising from car accidents, auto accidents, truck accidents, pedestrian accidents, bicycle accidents & motorcycle accidents arising from the negligence of another. Being in an auto accident can be one of the most confusing and frustrating events in your life. Not knowing how to navigate your insurance policy, talking to adjusters who do not have your best interest in hand, determining which doctors will assist you, and how to obtain the true value of your injuries are just some of things that can exasperate people injured in a car accident. To make it worse, someone else put you in this situation. That’s why you hire us. Fernandez & Hernandez is a law firm dedicated exclusively to representing individuals injured in auto accidents. In most cases, we can assist in recovering your lost wages, medical bills, property damage, loss of life’s joys, and other related costs. We will also help you deal with your auto insurance company as far as making any necessary claims to your No-Fault or Personal Injury Protection (PIP) coverage, in addition to handling your case against the at-fault driver’s insurance company. If you are injured or have any questions on what to do if you are injured in a car accident, give us a call at 813-229-5353. After retaining our firm, one of the first thing we will do is start the process for your medical bills and lost wages to be compensated. We will file the necessary paperwork and assist you in qualifying for Personal Injury Protection (PIP) benefits (also known as Florida No Fault benefits) as described Florida Statute 627.736. The laws in the State of Florida changed on January 1, 2013 and requires specific qualifications not once required in order for you to obtain medical benefits. If you do not have a doctor in mind that you would like to treat with, we can recommend several by your home or work in order to make it convenient to you. After you treat with a doctor and achieve maximum medical improvement, the doctor will discharge you. That is when we take over and pursue a claim against the at-fault party for your injuries and demand they compensate you for your injuries. 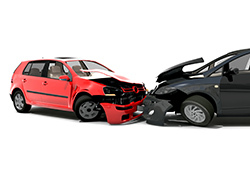 Give your Tampa auto accident attorney a call today at 813-229-5353 for your free consultation. Effective January 1, 2013, Florida Statute 627.736 individuals injured in a car accident (who are seeking Personal Injury Protection medical benefits that they pay for already) are required to receive an initial evaluation and care WITHIN 14-days of the motor vehicle accident. This evaluation needs to be done by a M.D., D.O., Physicians Assistant, Dentist or Advanced Registered Nurse Practitioner (BUT NOT A CHIROPRACTOR INITIALLY) to determine that the injured person has an emergency medical condition. If you do not have a doctor who can qualify you for these benefits, we can refer you to an approved and licensed facility. Dram Shop actions are cases where an individual, under certain circumstances enumerated in Florida Statute 768.125, may pursue a claim against a person who sells or furnishes alcoholic beverages to a person who is not of lawful drinking age or who knowingly serves a person habitually addicted to the use of any or all alcoholic beverages (i.e., an alcoholic) for injury or damage caused by or resulting from the intoxication of such minor or person. 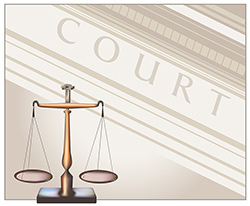 These cases require immediate attention and skilled hands to navigate and pursue. In 2013, the law firm of Fernandez & Hernandez pursued a claim against a bar for knowingly serving a known alcoholic to the point his blood alcohol level was a 0.35% (the legal limit in Florida is a 0.08%) and allowing him to drive away in an inebriated state of mind. We pursued a claim against the bar and collected $1,000,000 for our client. The Fernandez & Hernandez Firm’s lawyers handle auto accident personal injury cases throughout the entire Tampa, South Tampa & West Tampa area. Areas we service include Town ‘n’ Country, Brandon, Riverview, West Tampa, West Chase, Hyde Park, Culbreath, West Shore, Palma Ceia, Gulfview, 33635, 33615, 33634, 33626, 33625, 33508, 33509, 33510, 33511,33568, 33569, 33578, 33579 & all of Hillsborough County and the state of Florida.